When we are communicating with family, there is always the potential to come from a place of judgement, blame, or the need to be right. If one person strives to win an argument or blame and criticise, it means the other either loses or walks away feeling hurt. Resentment can build, and there’s no incentive to want to keep the relationship going. 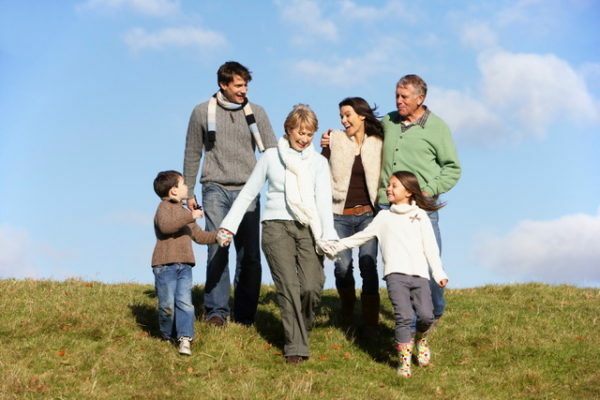 Here are some helpful tips to keep the fires of your family relationships burning bright. Fostering healthy family relationships means you have to put some effort in. Reflect on how you can put your family relationships further up your priority list, above material rewards, socialising with friends or personal interests. Many think that just because they’re related to someone they will always be there when they need them. Blood may be thicker than water, but when hurt feelings are at play, the negative consequences can have long-lasting effects. You may have to take the higher ground and step in first to remedy it if you’re not getting along with family members. This becomes an opportunity to better understand the other and build a deeper relationship. Find the courage to ask what is wrong, and what you could do to help improve the situation. Sometimes you may not get the response you are hoping for, but don’t stop trying. It may just be that your timing is not good or you need to find a different approach. Check that you are coming from a kind, caring position, not a defensive, reactive one. This involves slowing down and learning to better understand why the other is put out or hurting. So seek more clarity – try to understand what is going on for them. Listening well and being able to empathise with the other’s position is necessary for building healthy relationships. Stop trying to get your point of view or feelings across first and learn to listen. If you can paraphrase (summarise) what you thought you heard the speaker say, and describe how they may be feeling, they will feel heard and validated. Then it’s your turn to speak about how it is for you. Own your part in any conflict. A family member may have hurled insults in conflict, but if you’ve responded with the same blaming behaviour you’re just as much at fault. Apologising for hurting someone’s feelings first is the best way to begin mending broken bridges. Then seek to understand why they felt so hurt. After you’ve validated their hurt, you also get an opportunity to share your feelings as well. Reflect on your intention. Is your intention to sit in resentment or anger until the other apologises or notices you’re upset? By doing this you’re giving your power away because you have no control over what someone else does, and you’ll need them to change for you to feel o.k. If their intention is the same as yours then you have a stand-off, and sometimes this can last for many years. But if your intention is to work on building closer family relationships, then you’re more likely to be in problem-solving mode and taking some initiative to begin reconciliation. Acceptance & forgiveness is the way to move forward. Accept that not everyone thinks or does things the same way as you. Accept that most people’s hurtful behaviour may not have been deliberate, but may come from them also hurting or needing to protect themselves. Forgiving and letting go is the way you free yourself from holding on to resentment or anger that has a negative impact on your mental, emotional, spiritual and physical health. This comes from a desire to take responsibility for your own wellbeing, because others may not have the capacity to meet your needs the way you want them to.